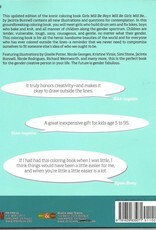 Ready-to-color images by Jacinta Bunnell and various talented illustrators. 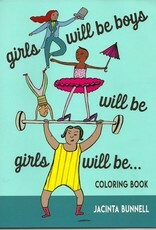 Cover illustration by Giselle Potter. 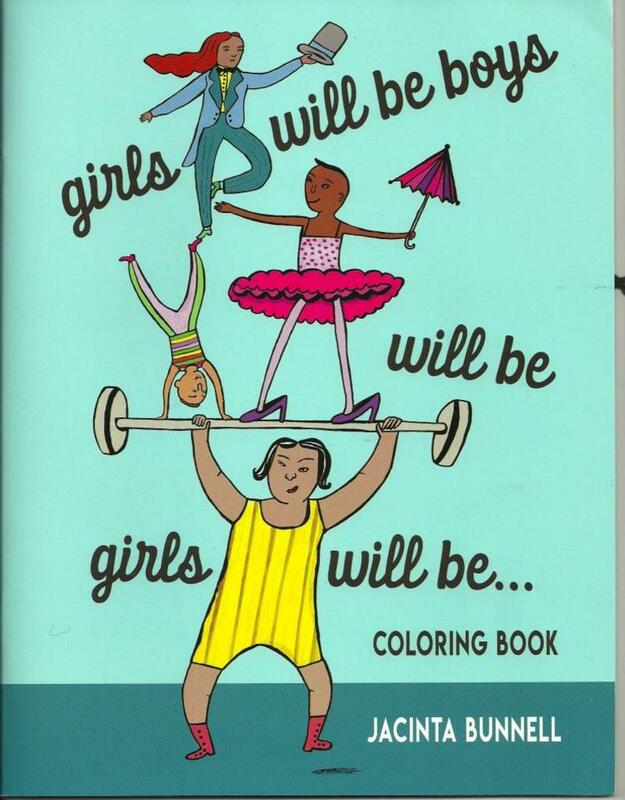 Given the gender stereotypes pervasive in most children's literature, this coloring book is a fun consciousness-raising tool for adults & children who want to unlearn a lifetime of gender-biased education. 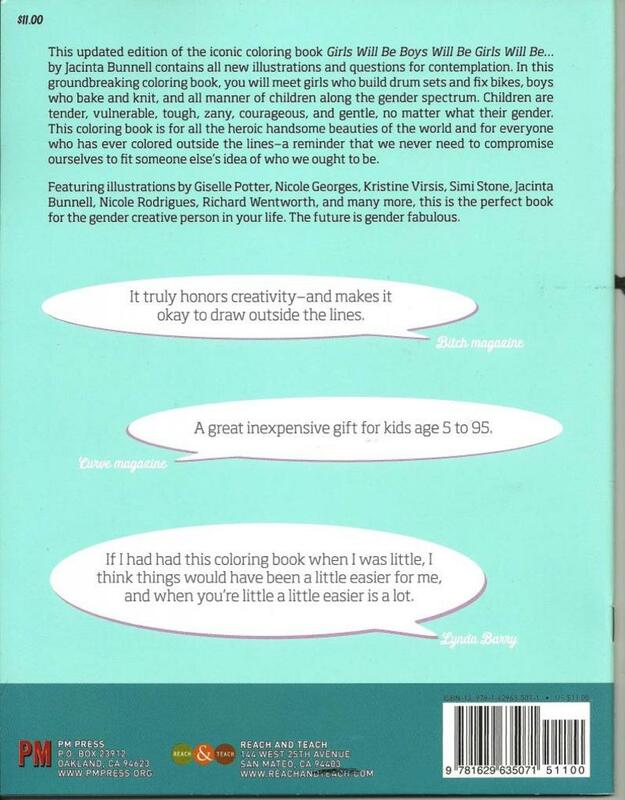 This book offers a fresh way for people of any age to take a look at stereotypes and oppression. If you can get people to laugh at themselves and at cultural expectations, their hearts will be more open to looking at difficult issues. Once you have opened someone's heart with a joke, a shared smile or a good laugh, you are better able to do the hard work of liberation together. Though our work directly draws from feminist, queer, and transgender scholarship and activism, we try to make it accessible via the familiarity of coloring books. We want people to be proud of themselves. If you do not see yourself in print anywhere, how do you know you are not the only one that thinks, acts and feels as you do? Published by PM Press/Reach & Teach.